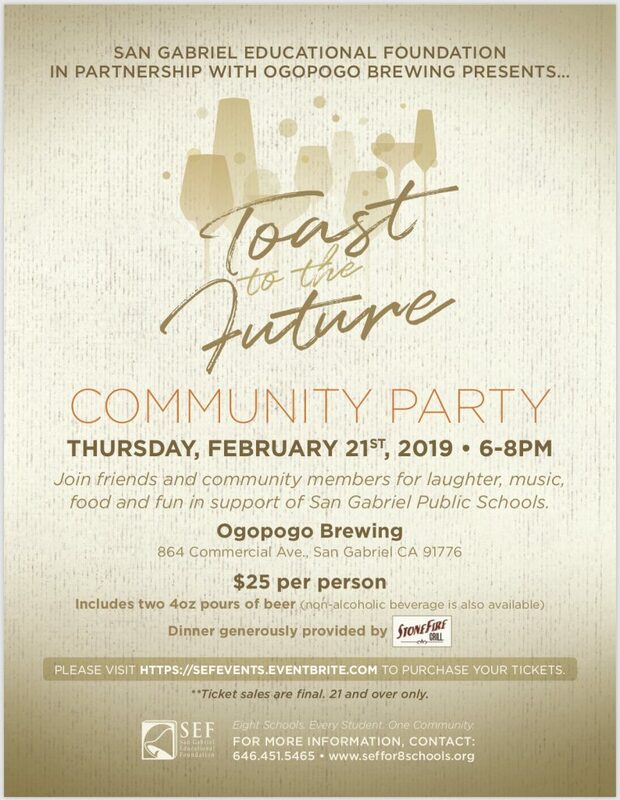 Join us on Thursday, February 21st for a “Toast to the Future” Community Event! All are welcome to join us for an evening of fun in support of San Gabriel Public Schools. Tickets All tickets are sold in advance and no tickets will be available for purchase at the door. We are looking forward to this exciting event that is sure to sell out quickly. If you are planning on joining us, please visit Eventbrite, using the link provided below, to purchase your tickets today!